Some are hesitant to buy loose diamondsonline. They fear that they may end up buying a fake one, but if you think about it, there can be no perfect place to buy diamonds than through online shopping. For one, you can have a closer look at the glamour and luster of this stone and secondly, it is not too difficult to see if it is offered by a credible diamond retailer. However, the trick lies on how to easily decipher if this will definitely be a great buy on your end. Also Read: Where Do Diamond Buyers Buy Diamonds Wholesale From? It helps to go to their “About Us” page to see links to professional jewelry associations they belong with. If this is not mention in their website, then it is best to go look for a different shop. As the saying goes, “birds of the same feathers flock together.” How will you know if they are true to their words? Take a look at their affiliate partners. Never disregard the power and the message behind the refund policy mentioned in online diamond retailers. Buy diamonds upon seeing this great promotional campaign. If you are not satisfied or it fails to fit your finger accordingly, then you will have no worries because the retailer will gladly replace it with something that will fit your finger accordingly. In some instances, you may even find retailers providing you an upgrade policy if you deem to choose a higher priced jewelry item. If you see that, the name of the retailer does not show any significant affiliates, and then go check them out through the Better Business Bureau or BBB. This organization offers you an unbiased review of most businesses in the US and in Canada to keep you protected from unscrupulous online diamond retailers. Buy diamonds only from businesses accredited by BBB and you will never be scammed. You do not need to become an expert with the Four C’s of diamonds, but it helps to learn a few things about these. The Four C’s stands for color, clarity, carat, and cut. You are given the choice of emerald, cushion, asscher, round, or radiant. Take a look at these cuts and choose the best one that will fit your character. This refers to the size of the diamond. It greatly depends on your budget and preference. 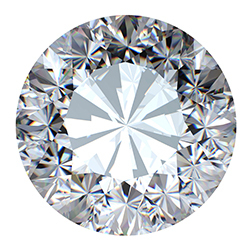 In any case, the carat may range from 0.5 to 2. This is of the utmost importance by many jewelers because this is one of the factors that give your jewelry that appealing luster and shine. Choose diamonds that are rated VS2 and higher because these are classified as the flawless diamonds. Unbelievably, there are colored diamonds. You will find natural blue diamonds, grey diamonds, black diamonds, yellow diamonds, and green tea diamonds. There is a wide selection to choose from that will match any occasion. Now that you have all of these tips in your arsenal, you can go ahead and buy loose diamonds for yourself or your beloved. Shop online and list promising retail shops. Compare the prices they offer and select the one that will give you a glittering delight on your eyes and others. Buy diamonds from credible shops and make your finger an envy of others.